DEEP BENEATH THE SURFACE OF EVERY REGULATOR ON THE WATER TODAY, YOU WILL FIND THE SECRET BEHIND THE LEGENDARY RIDE. The formula is simple: a proven deep-vee hull with 24 degrees of deadrise at the transom, designed by renowned Naval Architect Lou Codega. Built in North Carolina and tested against the challenging conditions of the Outer Banks, it’s the Codega hull design that delivers the soft, dry ride Regulator is known for. Regulator’s intricately designed stringer system spans the entire length of the hull and is lightweight, yet incredibly strong and works as one solid piece to eliminate much of the stress at the deck, liner, and hull joints. All composite and fiberglass with no wood, the stringer system is bonded with high-strength adhesives directly to the hull before it is ever removed from the mold. To add strength and reduce noise, foam is injected into the stringer so that the stringer and hull become one solid unit. This formula was tried and true at its roots in Regulator’s first years and has been the single hull design utilized ever since to build over a dozen different models and literally hundreds of hulls. Regulator’s steadfast commitment to superior fit, finish and quality has lead to immense popularity and an unprecedented following of captains, anglers and families who would settle for nothing less than a Regulator. The power of one solid hull is ultimately felt offshore. When nothing is moving beneath your feet, you know you are on a boat built to handle the high seas. Regulator’s signature stringer is one solid piece of fiberglass, handcrafted without an ounce of wood, then bonded to the hull. This creates the strength and rigidity you need to take on any offshore condition with ease. 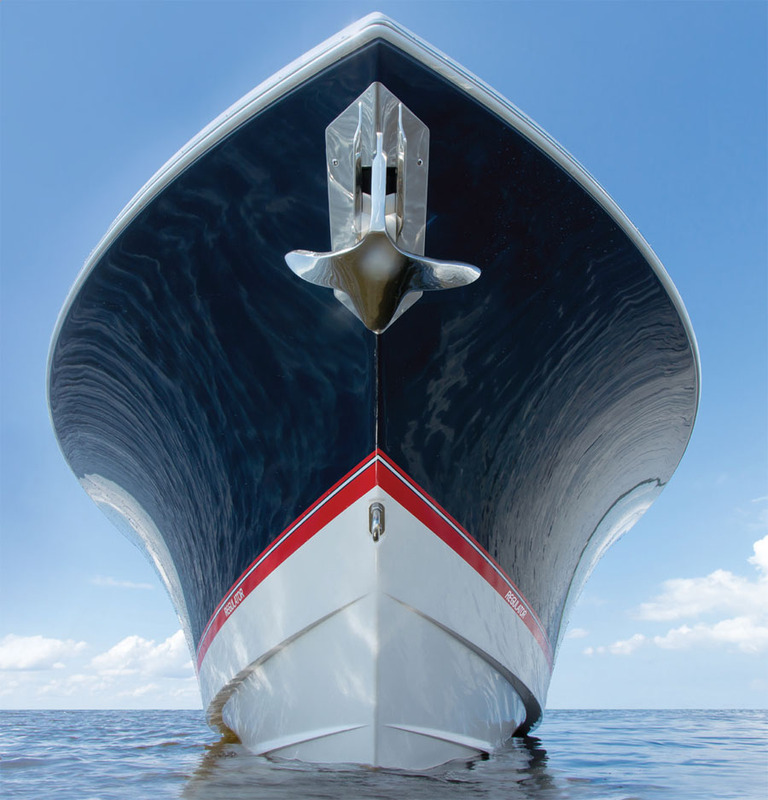 The weight and depth of our hull and stringer guarantee a lower center of gravity. And a lower center of gravity gives you better performance in every ride. Add a seamless walk-around deck, perfectly-fitted console, and clean surfaces throughout for the fit & finish that only Regulator can deliver. Thanks for your interest, Joe. The actual hull shape and ride is not changed a whole lot between these models, most of the differences are in the tooling, deck configuration, etc. Does that answer your question or are you looking for more information on the standard options between the models? They also just debuted the 31, which might be closest to the older 32 that you’re thinking of.